This gallery showcases stunningly beautiful, revealing, and sometime abstract views of Earth landforms viewed from space. 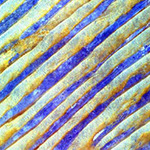 SciJinks is a joint NASA/NOAA educational website targeting middle school-aged children and their educators. This online Flash interactive simulates the process of discovering new exoplanets using the transit method. Learners explore a simulated star field, record data, make measurements and do calculations to discover new planets. Instructional videos and guides are included. 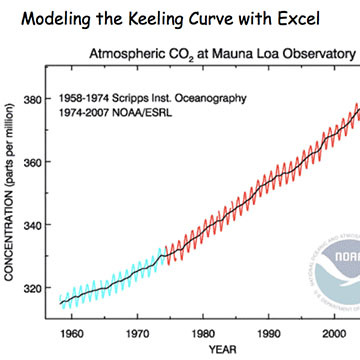 In this problem set, learners will refer to the tabulated data used to create the Keeling Curve of atmospheric carbon dioxide to create a mathematical function that accounts for both periodic and long-term changes. Design Challenge: How to Keep Gelatin from Melting? This is a activity about applying the scientific method to a design challenge. Learners will design and build a platform that will be placed on a heat source. The platform is expected to serve as an insulator for a cube of gelatin. This article covers tornadoes - how they form and how to predict their occurrence. SciJinks is a joint NASA/NOAA educational website targeting middle school-aged children and their educators. 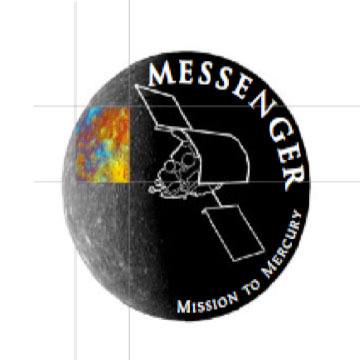 It explores weather and Earth science through articles, videos, images, and games. 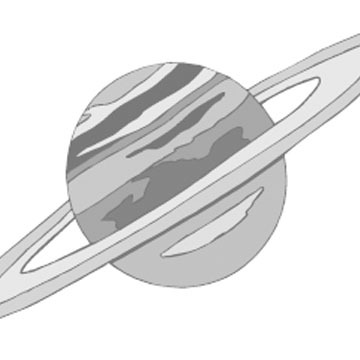 Learners will complete one or more poems about Saturn using descriptive words. As a pre-writing activity, students generate a word list from books they have heard and read and images they have seen and created. With the support of the word lists, they will create poems. 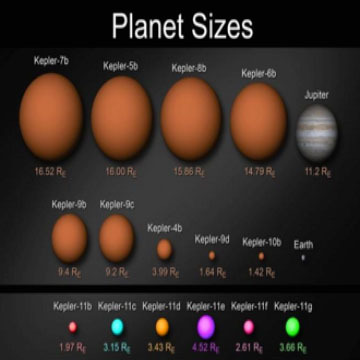 Students will learn about the NASA Kepler mission and Earth-like planet discoveries through reading a NASA press release. They will also view a NASA eClips™ video describing the search for planets beyond our solar system. What Do You Know about Saturn? 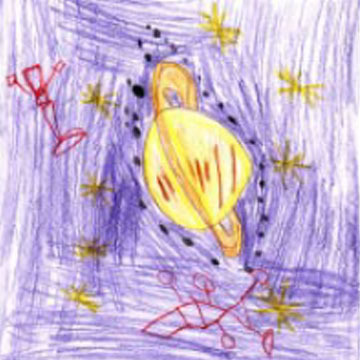 Learners will draw and write to express their knowledge of Saturn. This is lesson 1 of 10 in "Reading, Writing & Rings!" for grades 1-2. This activity guides students through sampling, identification and counting of macroinvertebrates sampled in a GLOBE hydrology study site, and understand how the taxa composition found in the sample can be an indicator of water quality and ecosystem health. 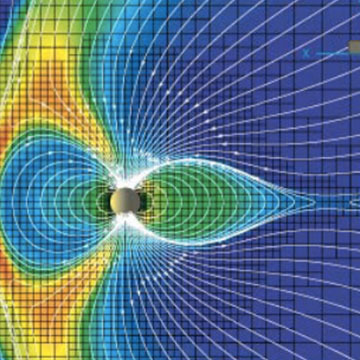 This is an activity about the THEMIS (Time History of Events and Macroscale Interactions during Substorms) magnetometer and its ability to reveal many different types of disturbances in the Earth’s magnetic field.